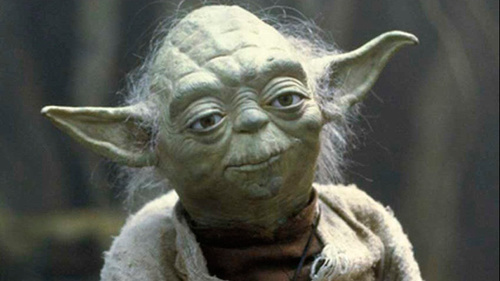 Okay, so Yoda is not our mentor. But we would agree that mentoring is crucial – and even essential – for spiritual growth. However, there are two stubborn obstacles: finding a mentor and being a mentor. Mentors who consider themselves qualified probably aren’t. The rest feel unqualified. The more obvious choices are already too busy. The less obvious choices are… less obvious. And then there are risks of bossiness and dependence, and the pressure to be a perpetual fountain of wisdom. Sound too airy fairy? Reese and Anderson suggest structured options for both one-to-one and group mentoring experiences, drawing on the wisdom of well-known mentors such as Teresa of Avilla, Aelred of Rievaulx and John of the Cross, who didn’t feel qualified either. Trilingual listening is a three-way conversation between two friends and God; an opportunity to let the Holy Spirit direct the agenda. Trilingual listening takes the pressure off, because usually you won’t know when it’s God, or when it’s just you, sparing all involved from weighty utterances requiring epic background music. The book will even tell you how to avoid a life sentence, and how to “break up” with your mentor or mentee. Exactly. So where does one go to be seen? The bathroom mirror isn’t the only problem. Roles, job descriptions, success, failure, disappointments and the opinions of others all fog up the picture. Perhaps your life is overrun by mentors with advanced trilingual listening skills or hairy green ears. If not, there is a place where you can be seen, known and challenged. I came to CREST seven years ago in the middle of a confusing story, and got much more than I expected. The leadership tools and insights were invaluable, and opened up opportunities. The reading assignments and classes prompted paradigm shifts, which altered the trajectory of my work and relationships. Yet what I most appreciated was the mentoring. At CREST I saw my life through new mirrors: large and small group discussions and activities, new friendships, and the coaching and teaching of the CREST facilitators. Through these experiences, my understanding of God was enriched, my identity in Christ glimpsed, and God’s purposes for my second half clarified. You’ve just turned the page on a new year. What do you hope for in 2014 and beyond? If you’re looking for clarity in life and leadership, consider joining a CREST cohort. To find out if CREST is right for you, click here.